We want you to have a trouble free time with your TeacherStick so that you can just get on with using it. To give you piece of mind, in the rare event of a problem with your TeacherStick, we have set up a support system. This is how it works. If you have a query or a problem with your TeacherStick, please create a Support Ticket. You do this by clicking on the Support top menu and choosing “Submit Ticket”. After you click the button, and the new ticket appears, you will be asked for details of your query or problem. We aim to reply to all tickets within 24 hours. Often we reply much more quickly than this. When you go back to the support area you can see all the responses to any support tickets you have initiated in the “My Tickets” section. You can also respond to our reply if you wish to. 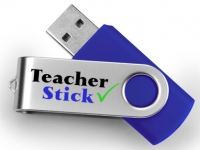 You are entitled to support for 12 months, following your purchase of a TeacherStick.